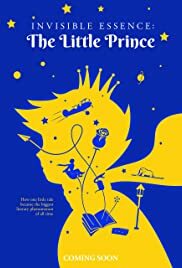 Two stories are woven together in director Mark Osborne‘s modern movie adaptation of Antoine de Saint-Exupéry‘s The Little Prince. One serves to act as a launching off point to the 1942 tale of a pilot meeting a mysterious boy from an asteroid. As one story is visually and eloquently rendered in smooth CGI, the other has an archaic papier-mâché, stop motion, quality which works very well in contrast to the two worlds being presented. In the main story, a girl (voiced by Mackenzie Foy) is on summer break and her mother (Rachel McAdams) has a regimen for her daughter to follow to pass the entrance exam to the prestigious Werth Academy in France. Although this adult is only worried about her child’s future, very little about the present is worth considering, including knowing how to take pleasure in the moment to enjoy life. When mom leaves for work, this young girl’s natural curiousity of the elderly neighbour (Jeff Bridges at his finest) almost follows in the tradition set by PIXAR‘s Up. This old codger was once an air force pilot and he takes an immediate liking to the young lass. He regales her with stories from his younger life, where Saint-Exupéry’s timeless story enters the picture.